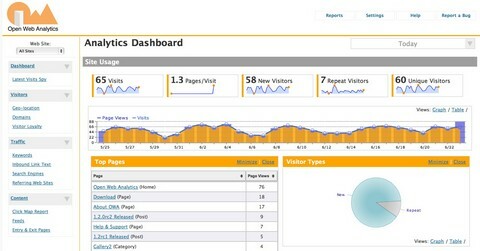 Open Source Web Analytics For Many Of The Web’s Most Popular Applications. Open Web Analytics (OWA) is an open source web analytics framework written in PHP. OWA was born out of the need for an open source framework that could be used to easily add web analytics features to web sites and applications. The OWA framework also comes with built-in support for popular web applications such as WordPress and MediaWiki. As a generic web analytics framework, OWA can be extended to track and analyze any web application.